No matter how you slice it, a dive trip to Palau is a serious investment. Whether you’re sticking to a tight budget or going all out on a luxury escape, you want every moment here to be as thrilling & magical as possible. 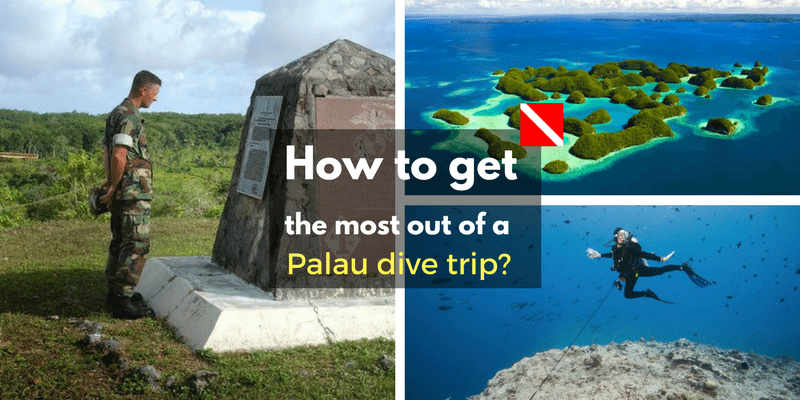 So how can you guarantee a flawless trip your first time out to Palau? What can you do to ensure you have not just a great time, but an incredible time, while diving in Palau? The currents at sites like Blue Corner can be strong, but a sturdy reef hook will hold you in place so you can relax and focus on all the wildlife swirling around you. (Never heard of a reef hook? Read more about them here.) If you dive with us, we do provide free loaner reef hooks. Of course everyone comes to Palau to dive. But ,there is so much more to see, meet locals, sit by the pool, watch the sunset, explore waterfalls, try the fresh catch at restaurants each night or take a drive up north and explore the island at your own pace. Lots of folks — especially photography buffs — swear by Palau’s small-plane tours. And as if soaring above Palau in a Cessna wasn’t exhilarating enough, you can even fly with the doors open (or off completely!) for a truly mind-boggling view. As one diver put it: “There are SO many top-of-the-list world-class dive spots here, BUT, holy God does it wear you out!” Consider taking a day off for a land-based excursion — maybe a waterfall hike or a visit to Peleliu — so your body can rest & recover. Want more tips or personalized advice on how to plan your first trip to Palau? Click here to contact us directly via Facebook messenger — We’re always here to help. In 2014 Palau created the world’s first shark sanctuary, telling the shark “finners” to get out they have recently expanded their program to where the countries entire Exclusive Economic Zone (EEZ) is protected. The EEZ extends 200 nautical miles from land, 80% is a marine sanctuary with no fishing allowed while the remaining 20% allows limited commercial fisheries for a domestic market within a protected and managed zone. Palau is blessed with large marine sanctuaries and local people who believe in saving the oceans for their children and therefore, the reefs are healthy and dive sites are full of marine life. The calculated biomass around the different dive sites is known as some of the highest in the world. Compared to “average” dive locations, Palau is a little harder to get to. It ‘s not hard, you just need a bit more planning and flexibility. Palau has a limited number of flights from fewer gateways then your typical vacation spot. Unlike the “typical” vacation spot, Palau’s tourism industry is not catering to tens of thousands of sun worshipers each week. A dive trip to Palau is not recommended to those who believe that the goal of a vacation is to lay on the beach and drink as many frozen margaritas per hour as possible. Palau’s tourism is also not about tricks and gimmicks for you to spend more money with every step you take. Last year almost 5 million tourists visited Cancun with about 190 flights a day. Many, but a smaller percentage, of those visitors, are divers, and I am certain that the vast majority of them are responsible divers. However, the sheer number of them added to the boatloads of snorkelers and discover scuba diving guest has put enormous pressure on the reefs in the area. The average temperature every day is around 27°C, or 82°F, making it the perfect year-round dive destination for getting away from the winter cold and spending some time having fun in the sun and underwater. That said, most of the rain that does fall will occur between the months of July and October. Also, humidity is usually around 82%. And because Palau is located outside of the typhoon zone, you can rest assured that these storms are also rare. Another great thing about Palau is the fact that locals are friendly and willing to help. You’ll be able to find many operators that will be happy to help you set up your excursions and enjoy your trip in an eco-friendly and safe way, especially since the locals are so closely tied to the sea, its currents, its tides, and the way its many creatures behave. 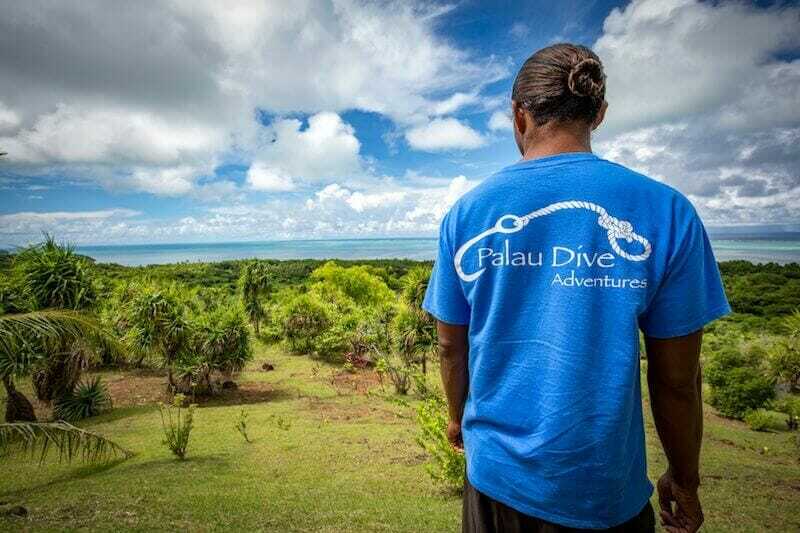 No matter what your level of certification is, whether you’re a complete newcomer, or you have years of experience Palau will blow your mind with so many diverse dive sites to choose from. From channels and tunnels to drop-offs and reefs of varying depths, as well as famous Jellyfish Lake. Also read: How to Dive Palau, Liveaboard or Land-Based? While in Palau, you don’t have to restrict yourself to scuba diving. Only Instead, there are plenty of other activities you can enjoy on land as well. If you are into WWII history you should visit Peleliu Island check out the many cultural and historic sites throughout the island, which will teach you more about how Palau has changed over the years and how it has stayed the same, holding true to its roots. You can also go Stand up paddle boarding, kayaking, hiking, and shopping in between relaxing at the poolside of your resort. 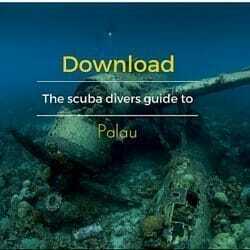 What to expect from a dive trip to Palau with PDA? Our standard dive week is an unusual maybe even unique arrangement for a land-based operation. It has some of the elements you would only expect to find on a liveaboard. Our dive week starts on Monday and runs through to Friday and includes 13 dives a trip to Jellyfish Lake, Peleliu Island and we offer complimentary nitrox for EANx certified divers. This is our signature package, and it is limited to a maximum of 10 divers per week! 1. You will be diving with the same group of divers all week, so you will get a chance to know your fellow divers and the PDA staff. 2. You will bring your gear on either Sunday or Monday, after that we valet your dive gear the entire week. 3. If you need to rent dive gear, you will have the same gear for the week, there is no reason to be fitted for rental equipment each day. 4. As we dive as a group, no “outsiders” will show up the last minute to join. Possibly delaying a departure as they fill out forms, get their c-card verified because they forgot it and get fitted for rental gear. One of the things that many of our guests have found a huge plus is our dive scheduling. Unlike the standard process where you are told where you are going, our guests tell us where they would like to go, and we build our weekly dive schedule around it. On Monday, at the start of the dive week when the introductions are finished, the dive guides and guests will discuss their certification and skill levels and also if any specific dive sites are on the bucket list. Our experienced and local dive guides will create a custom weeks dive schedule. Weather and marine conditions might cause some modifications. However, the desires of our guests will still be included in the plan. We work with a select few accommodations over the range of budget, standard hotels, and luxury resorts. We have negotiated rates with these properties, so you do not have to. We understand that our reputation is also affected by our recommendations, so you can be sure that we have been very careful in our selections for each category. If you are a diver that truly wants a dive vacation, then you should surely consider planning your next dive trip to Palau.